A woman in the Mexican capital was shot and killed. An American tourist was accidentally shot and killed during a driveby shooting while exiting a taco restaurant in an upscale neighborhood in Mexico City on Monday. The woman was apparently struck by a stray bullet, according to the Mexico City Attorney General's Office. According to the AG, she was struck when two men on a motorcycle fired at a man on the sidewalk. Tatiana Mirutenko, 27, was shot while exiting a restaurant in the Lomas de Chapultepec neighborhood of the Mexico capital at about 5:50 a.m. The neighborhood is known as a nice area and a popular destination for tourists. Mirutenko, who was with her husband and two friends, was taken to the hospital, where she died. The 46-year-old man who was targeted in the shooting was injured. The AG said he worked as a bouncer in Polanco, the neighborhood just east of Lomas de Chapultepec. "A year ago, we were selecting flowers for the wedding. Today we were looking at flowers for the funeral," Wasyl Mirutenko, Tatiana's father, told San Francisco ABC station KGO. A manhunt is still on for the two alleged shooters. "The analysis of the surveillance cameras, by the investigation police, allowed us to know that the aggressors fled to the State of Mexico," the attorney general said. 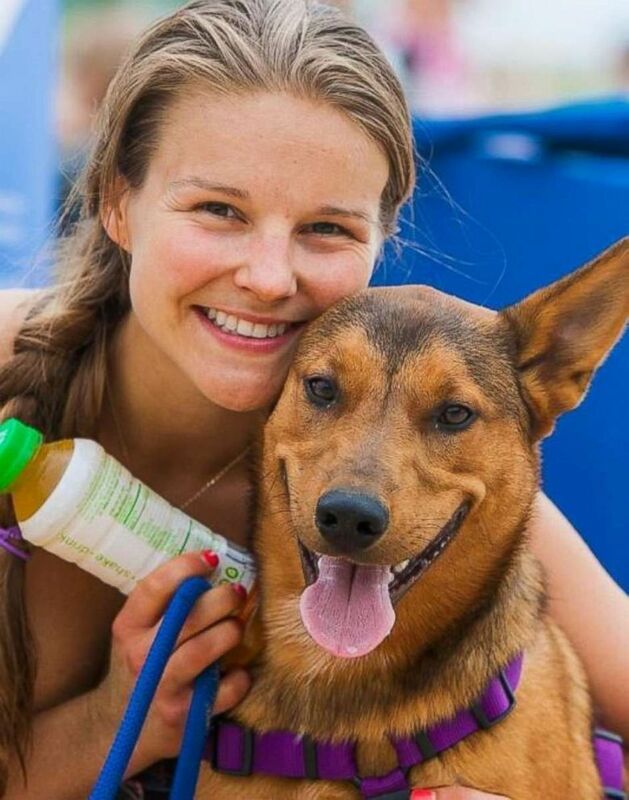 (Mirutenko Family) Tatiana Mirutenko, 27, was shot while exiting a restaurant in the Lomas de Chapultepec neighborhood of Mexico City on Monday, July 9, 2018. The woman worked for Nektar Therapeutics in San Francisco. "Tatiana was a bright and passionate rising star on our Nektar Investor Relations team in San Francisco," Jennifer Ruddock, Nektar's senior Vvice president of Investor Relations and Corporate Affairs told ABC News. "She was always willing to help on any project across the company and had an incredibly strong work ethic. Many throughout Nektar, and outside the company, valued her positive energy, insight and sheer enthusiasm for life." The U.S. Department of State confirmed the American woman's death. "We extend our sincere condolences to friends and family members of the deceased," the Bureau of Consular Affairs said in a statement. "The U.S. Embassy in Mexico City is providing all appropriate consular services to her family. Out of respect for the family during this difficult time, we have no further comment." ABC News' Anne Laurent, Darren Reynolds and Conor Finnegan contributed to this report.